And there is an OBE for ITV’s This Morning presenter Eamonn Holmes, who said “2018 will be my 38th year as a broadcaster and I can’t think of a better way of marking that”. Officials said future lists would see honours for “inspirational action” by people following the Grenfell Tower fire and the terror attacks in London and Manchester. Singer-songwriter Sir Barry said he felt “humbled and very proud” about his knighthood for services to music and charity. Sir Ringo’s honour for services to music – given under his real name, Richard Starkey – was leaked before the announcement. It comes 20 years after Paul McCartney was knighted and adds to the 1965 MBE received by all four Beatles. The Los Angeles-based musician said: “It’s great! It’s an honour and a pleasure to be considered and acknowledged for my music and my charity work, both of which I love. Peace and love.” The Cavern Club in his hometown of Liverpool, where the Fab Four started life, described the knighthood as “long overdue”. Former Royal Ballet principal Dame Darcey, who has forged a new career on the BBC’s Strictly Come Dancing since retiring from the stage, said she was “truly humbled”. She dedicated her damehood for services to dance to “all the dance organisations that I am so fortunate to be part of”. 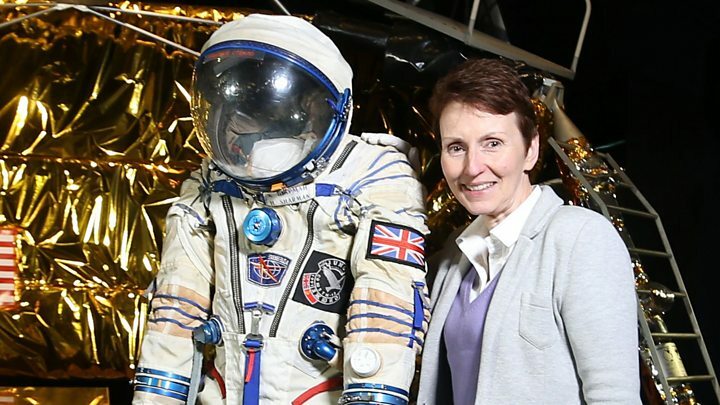 Helen Sharman receives one of the highest honours, 26 years after she became the first British astronaut with her journey to the Soviet Mir Space Station. That achievement saw her become an OBE in 1993 and her new CMG is for services to education in science and technology. Cricketer Heather Knight said she was “blown away” by her OBE, which follows England’s World Cup victory over India at Lord’s in July. The team’s head coach Mark Robinson becomes an OBE, and player of the tournament Tammy Beaumont and player of the final Anya Shrubsole are made MBEs. Director of women’s cricket Clare Connor becomes a CBE. Other sporting honours include OBEs for British and Irish Lions rugby captain Sam Warburton and former Scotland rugby captain Ian McLauchlan, and an MBE for Paralympic athlete Stefanie Reid. The trainer of the Queen’s racehorses, Nicky Henderson, is made a Royal Victorian Order Lieutenant. Five people involved in Hull’s City of Culture are recognised, including chief executive Martin Green with a CBE. The “godfather of Grime” Richard Cowie, aka Wiley, said of his MBE for services to music: “It feels like the school grade I wanted and didn’t get but now I’m finally there.” Grace Ladoja, who manages another grime star, Skepta, receives the same honour. The author Michael Morpurgo has been knighted for services to literature and charity. He is best known for his children’s novels, including War Horse and Why the Whales Came. He says his knighthood gives him a platform to advance one of his main passions: “The opportunity to talk about children’s literature and how really important that is to our young people growing up today. “They learn so much – not just the spelling and the punctuation, all that’s very important – but what you learn from a book is understanding and empathy. There are MBEs for BBC radio presenters Linda McAuley, who hosts Radio Ulster consumer show On Your Behalf and is recognised for services to consumers, and BBC London’s Eddie Nestor for services to radio and charity. Nick Clegg, who lost his Sheffield Hallam seat in the general election, is knighted for political and public service alongside several former and serving MPs, while fellow Lib Dem Jo Swinson is made a CBE. The former deputy PM said he was “grateful” for the knighthood which “belongs as much to my team in government as it does to me”. There is a knighthood for services to social sciences and politics for the University of Strathclyde’s Prof John Curtice, a familiar face on television for his election polling analysis. Elsewhere, there is an an OBE for PR consultant Lynne Franks for services to business, fashion and women’s empowerment, and tech investor Ken Olisa – named Britain’s most influential black person in 2015 – is knighted for services to business and philanthropy. Met Police Deputy Commissioner Craig Mackey – acting chief at the time of March’s Westminster terror attack – is knighted. The Cabinet Office said Prime Minister Theresa May had provided a “strategic steer” that there should be more honours for people helping children “achieve their potential”. Ms Khan said “never in a million years” would she expect an OBE. “You probably imagine it will be middle-aged English men getting it the most, but when the envelope arrives it’s a really special feeling, because you realise it’s actually something that’s real and happens to ordinary people,” she added.